Francis X. Comerford is the chief revenue officer & president of commercial operations for NBC Owned Television Stations. Frank joined NBC in 1994. 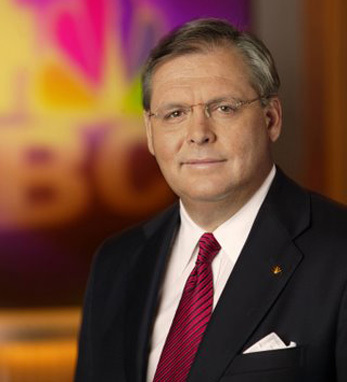 Before being promoted to his current role in 2008, he was president and general manager of NBC’s flagship station, WNBC. His career in the television industry spans over 30 years. Frank is very active in the community, serving on many charitable boards including the NYC St. Patrick’s Day Parade, Catholic Charities of the Archdiocese of New York, the Association for a Better New York and The Television Bureau of Advertising. He has been honored by several organizations, including: the Child Abuse Prevention Program, the Diocese of Brooklyn, and Friends of AHRC Nassau Autism Program. He was Chief Brehon of Brooklyn’s Great Irish Fair in 2003 and has been named a “Favorite Son of Brooklyn.” Brooklyn Borough President Marty Markowitz declared Nov. 26, 2002 Frank Comerford Day. Frank, his wife, Maura, and their son Francis Jr., live in Manhattan and Long Island. He has roots in Co. Kilkenny and he served as Grand Marshal of the 2012 NYC St. Patrick’s Day Parade.